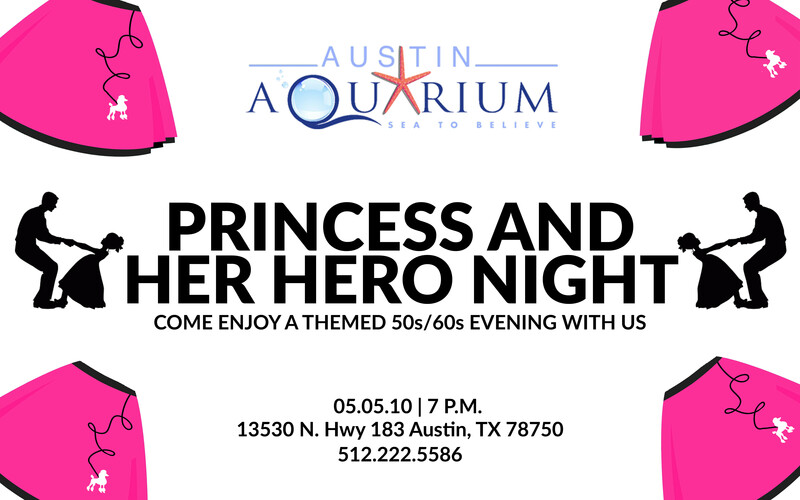 Join us at the Austin Aquarium for our second-annual Princess and Her Hero dance on May 5. The night is an opportunity to create a memory that will last a lifetime for young ladies to spend some time with her father, grandfather, brother, uncle, neighbor or special friend. This year, we’re encouraging all attendees to dress up for our 50s/60s theme. Throw on your best rockabilly threads and rock out all night amongst the fish, the rays and the sharks. 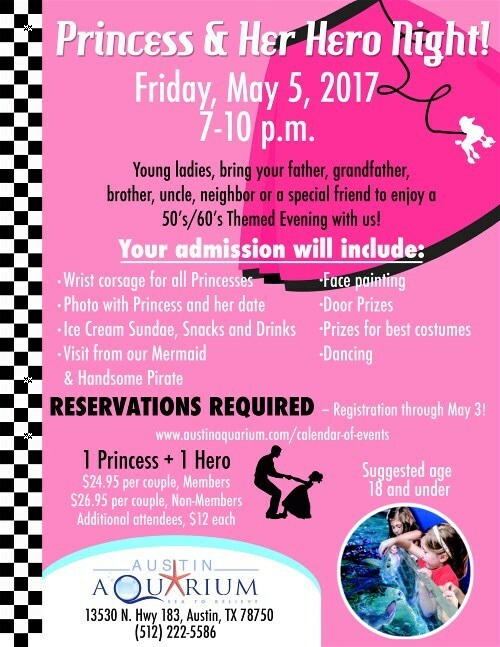 To attend the Princess and Her Hero dance, you must purchase your tickets in advance before May 3. You can purchase your tickets here.